MULBERRY, Fla. Neighbors of an unplugged sinkhole sending contaminated waterand fertilizer plant waste cascading into Florida’s main drinking-water aquifer are fearful, and fuming that it took three weeks for them to be notified about the disaster. Many are still waiting anxiously for results from tests for radiation and toxic chemicals in their wells. So far, more than 200 million gallons of tainted water has drained from a waste heap through a 45-foot-wide hole into the Floridan aquifer, which provides water to millions of people. “We make jokes around here that when he start to glow after a shower, we’ll know we’re in trouble,” Lithia resident Joyce Hunter told CBS Miami on Sept. 20. Jokes aside, Hunter has some serious questions about the water quality at her home in Lithia – just a few miles from Mosaic’s New Wales plant. “I’m not expecting doomsday around here but the big thing is we want to know. We just want to know if the water is drinkable,” said Hunter. 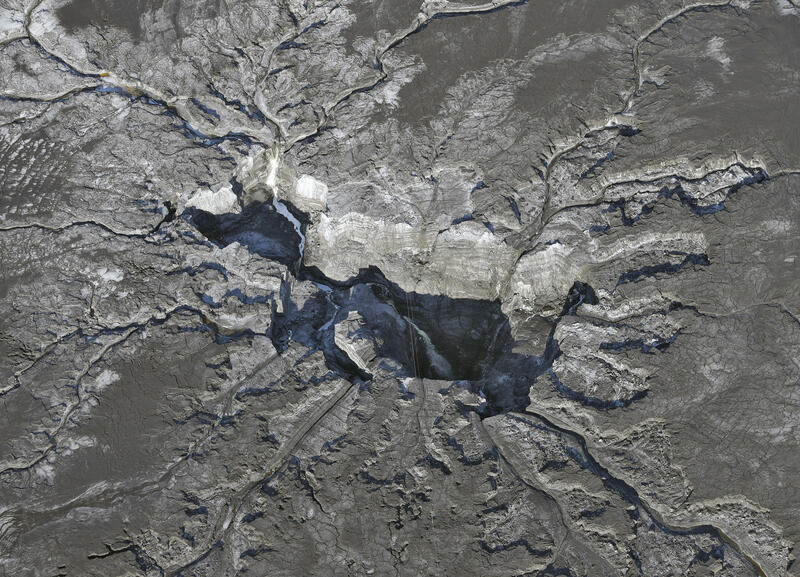 The Mosaic Co. - one of the world’s largest producers of phosphate and potash for fertilizer - acknowledged Wednesday that the contamination had spread to groundwater around the sinkhole. On Thursday, company spokeswoman Jackie Barron said the acidity and sulphates were found in a recovery well being used to pull water out within a quarter mile of the sinkhole. The day before, she told The AP that traces had shown up in several wells on the site, but on Thursday, she said contamination was found only at the recovery well, and that no contamination has been found in the monitoring wells farther from the hole, nor beyond the limits of the company’s property. However, homeowners near Mosaic’s New Wales plant weren’t first notified by Mosaic or DEP until Sept. 19, after news of the sinkhole broke the previous week. Only then did Mosaic begin providing them with bottled water. Mosaic stacks it in hill-size piles that can be hundreds of feet tall and visible from space. Because it is radioactive, the material can’t be reused, but the wastewater involved is stored in ponds atop the piles. Aerial photos and video shot by The Associated Press on Thursday show the water is still flowing down into the aquifer, which stretches beneath Florida and southern Mississippi, Alabama, Georgia and South Carolina. Mosaic also acknowledged that it doesn’t really know how deep the hole has grown between the huge radioactive waste pile and the vast aquifer below. Barron said the company believes it’s 300 feet deep, but doesn’t yet know for sure. Doing so could require feats of engineering. The hole is deep within the massive “gypsum stack,” a gooey pile of clay-like material, said Sandy Nettles, a Florida geologist who is a sinkhole expert. DEP spokeswoman Dee Ann Miller on Thursday did not address why the agency took so long to notify the public, but said the safety of Floridians and the environment are a top priority. The agency so far has not made water testing data and other public records requested by The Associated Press available. The delay also led Florida Gov. Rick Scott, who toured the site on Tuesday, to enact an emergency rule requiring 24-hour notice of environmental emergencies, and he plans to support legislation to make that permanent in next year’s session. Mosaic understands neighbors want peace of mind, she said. The company is drilling more monitoring wells to better be able to find any migration. “We appreciate how people feel at this point - that’s why testing and bottled water continues,” Barrron said.